Selling a car can often be time-consuming it may take a day or weeks but eventually it will be sold wether for the price you expect or cheap. 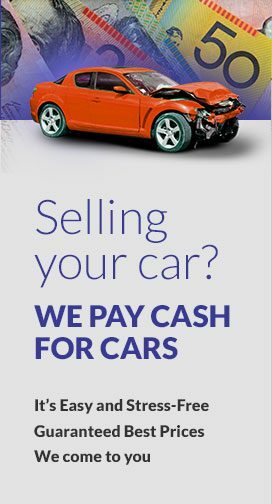 Another way of selling your car with in few hours is contacting cash for cars company like Origin cash for cars that also buys truck van, 4×4 and SUVs for up to $8999. Selling a car privately or choosing a cash for cars company is explained in details below. There are disadvantages of selling a car to third party. Vehicle must be in working condition, if it is damaged or has mechanical issues it needs to be repaired before it can be sold. The cost of advertising on the internet or newspaper is also an issue when considering to sell your car privately. The potential buyer could waste your time by test drive, negotiating over the price and on paperwork. It is believed that potential buyer wouldn’t buy a car at first inspection. Therefore, car owners need to be more careful when considering a sell car to third party. There are a few benefits when choosing a car removal company like “Origin Cash For Cars” explained more below. Regardless of make, model, condition Origin buys your car. Get an offer over the phone or submit online enquiry and the offer is made instantly. No negotiating at the time of pick up. The amount of cash offered by a car removal company such as Origin cash for cars mainly depends on the make, model, year,. Age and location of the car. From Origin cash for cars you can expect to get up to $8999 cash for unwanted cars. The payment is made during the towing. You can sell your old, damaged, scrap, used and second hand cars.